The Salish Chandelier, a rich, full design features bold Rocky Mountain Elk antlers and gorgeous Mule Deer antlers woven into this great traditional western design. 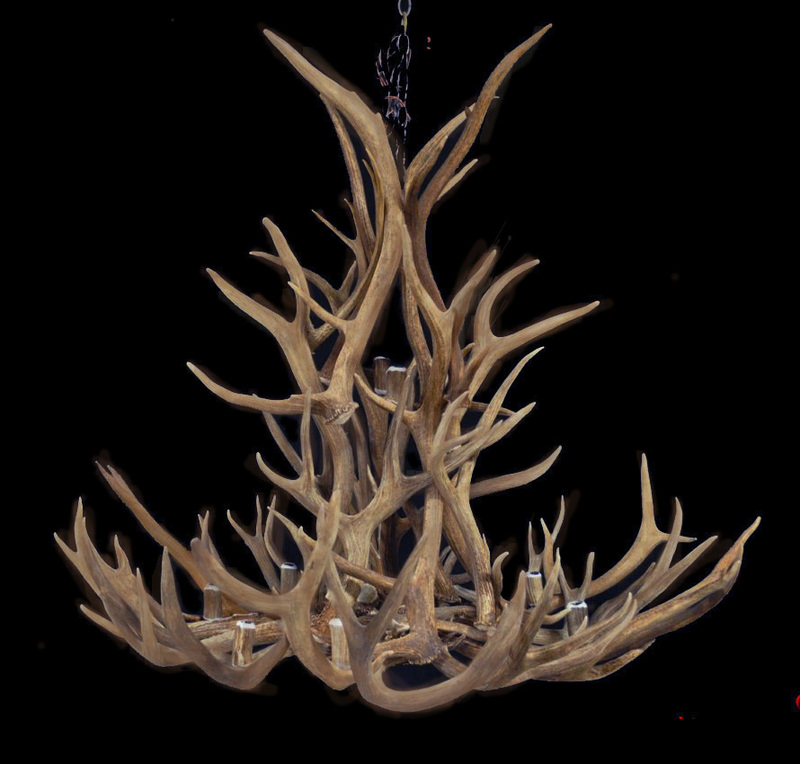 This design has the “lines” of our Cascade Chandelier but with the structure using Elk antler, it allows us to have a larger size for your great room or other perfect placement. The Salish is perfect for spaces calling for a real statement fixture.